Location I.Q. 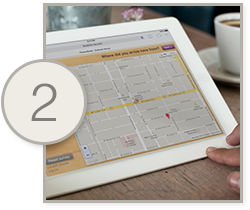 makes it easy to gather geographic and demographic data directly from your actual customers. 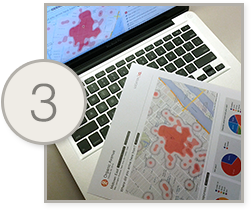 Whether you're trying to determine your store's trade area, or gathering data about who your customers are, Location I.Q. is the solution. Use the administrative tools to create unlimited surveys that include mapping, multiple choice and text input questions. 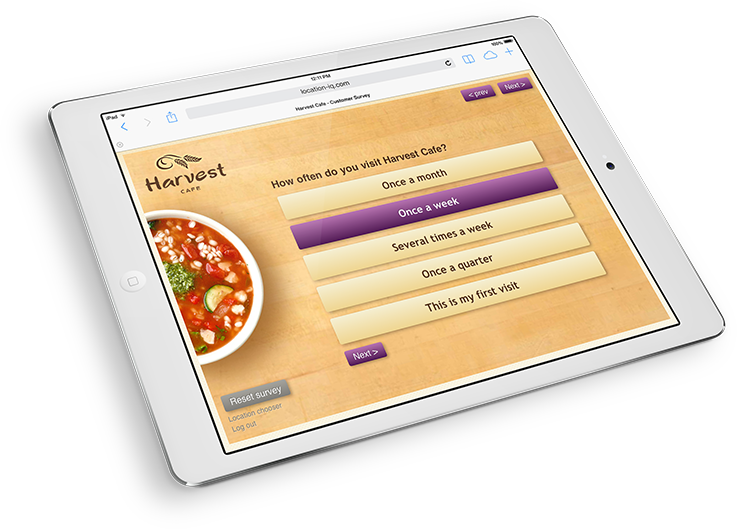 Survey your customers in store, on any tablet device. 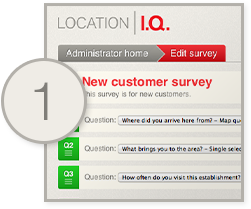 Use the built in reporting tools to chart and map survey responses filtered by day part, date range and location. in store on any tablet device. responses or export your data.